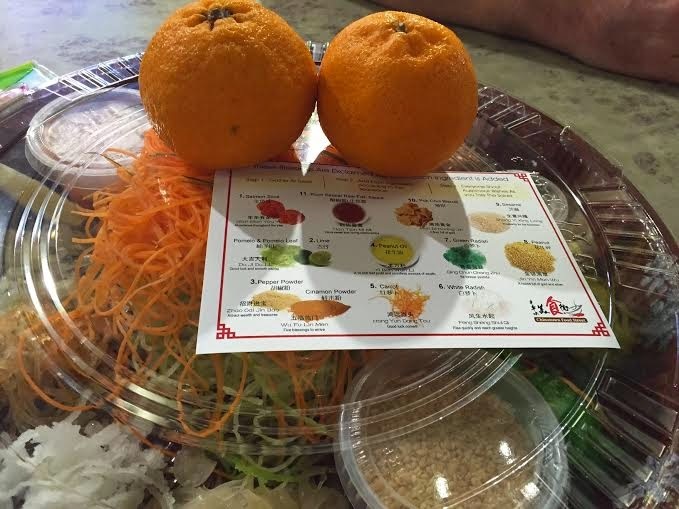 We were invited to Chinatown Food Street to participate in a Chinese New Year Supper Reunion, of which Yu Sheng was served. 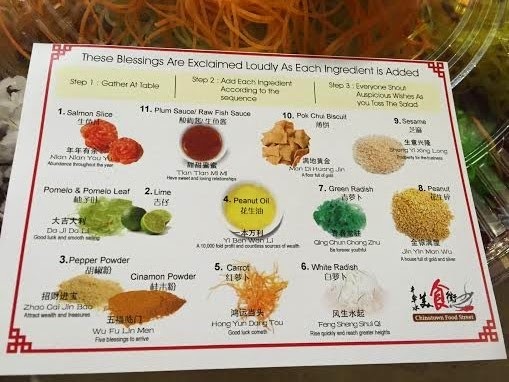 The ingredients and the meaning of each ingredient is very important to bring good luck and fortune in the coming New Year. All the ingredients were added together (picture on left), we then had to use our chopsticks to mix the ingredients together (picture on right) while saying some auspicious words for health and wealth. 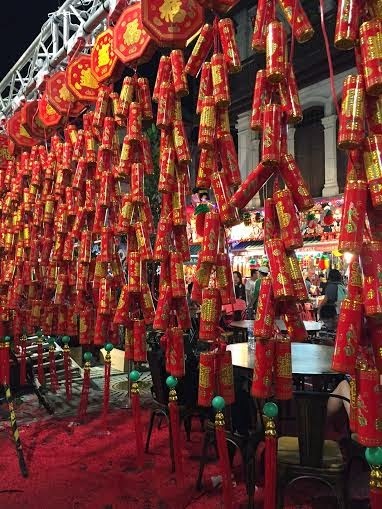 The higher the ingredients are tossed, the more wealth and good luck will come to you for the next year. There are are total of 24 Hawker Stalls at Chinatown Food Street, serving cuisine from different races in Singapore, and we got to sample a selection of those (pictured below). 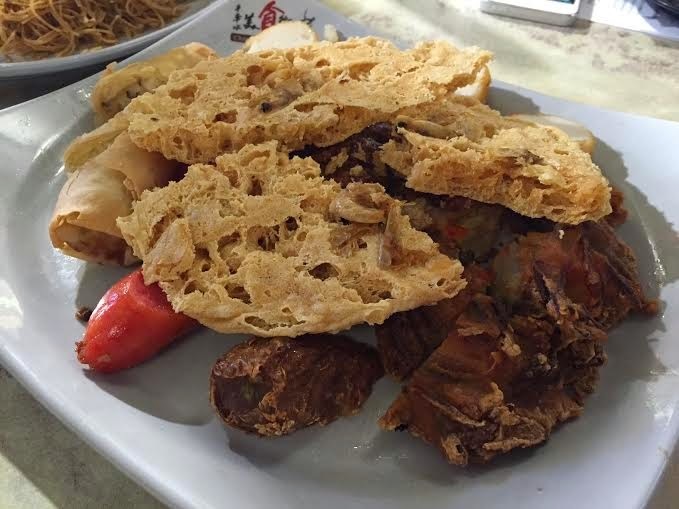 There are other dishes that we didn't get to try such as chicken rice, nasi briyani and bak kut teh to name but a few. 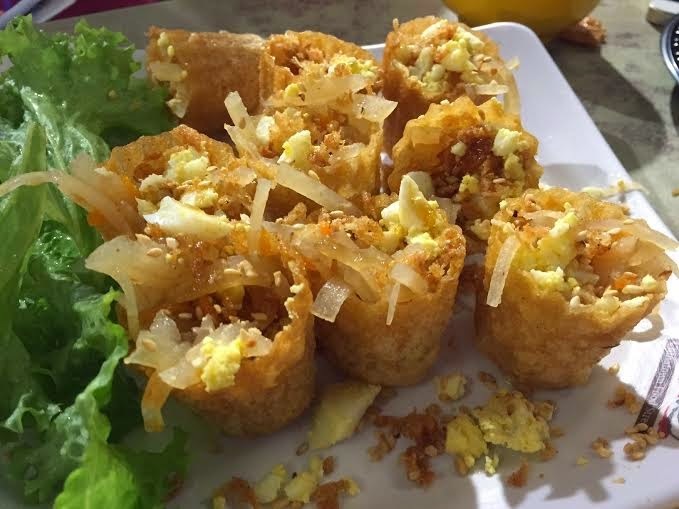 Want another reason to dine at Chinatown Food Street? From now until 3 March 2015, spend $10 in a single receipt at Chinatown Food Street and get a 20% discount voucher off Trick Eye Museum admission tickets. T&Cs apply: Voucher is valid until 31 March 2015 only. 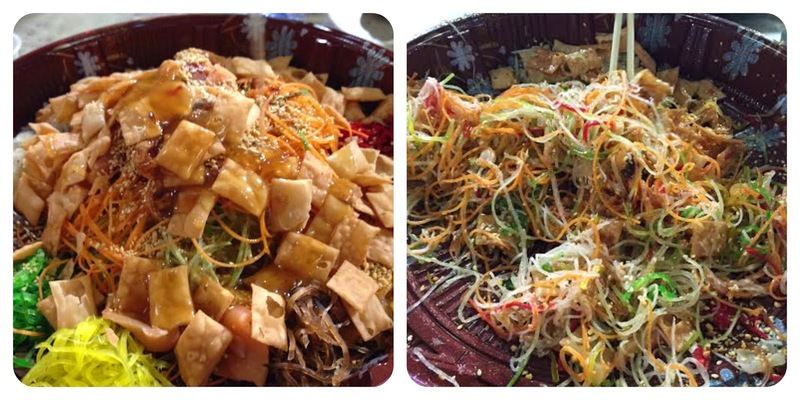 Dishes are priced between S$2.50 to S$10.00 a dish, with the exception of Yu Sheng (S$28 for small, S$38 for large). The Food Street will be closed on 19 February, and will resume normal operating hours (11am to 11pm) from 20 February. Thank you to Chinatown Food Street for the kind invitation.